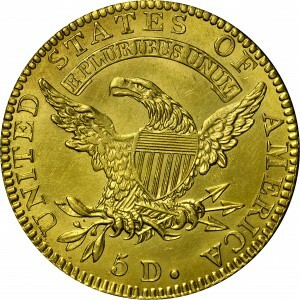 This is the generally seen variety of 1826 half eagle, if either could be described in such terms. Recorded mintage was 18,069 with only about 30 to 35 examples surviving. 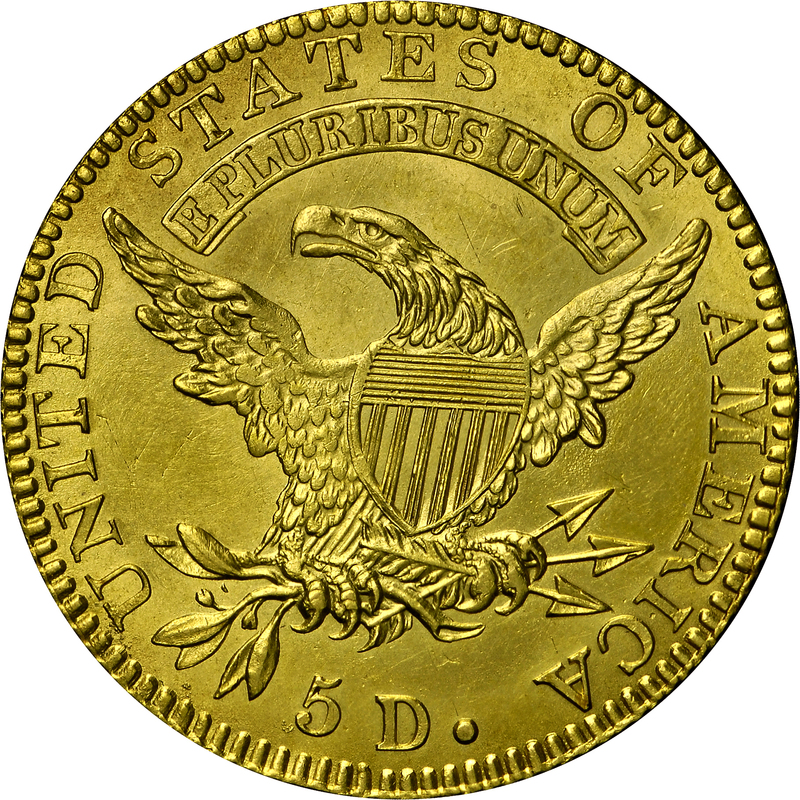 The reverse die of this variety appears to be reused from 1820 with large letters. 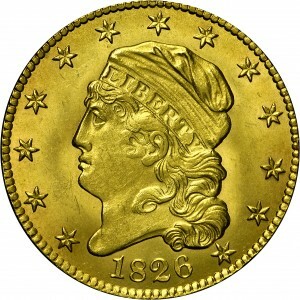 In fact, this reverse is identical to Breen’s reverse C of 1820, as displayed at HBCC-3139. As with many other issues of this decade, the majority of survivors from this die pair are in Mint-State or nearly so. From Quality Sales Corporation's sale of the John A. Beck Collection, Part I, January 1975, Lot 405. "Obverse: Belted 8. Top of 1 clearly higher than that of 8. Stars 3 & 5 recut. 13th star under curls, near 6. 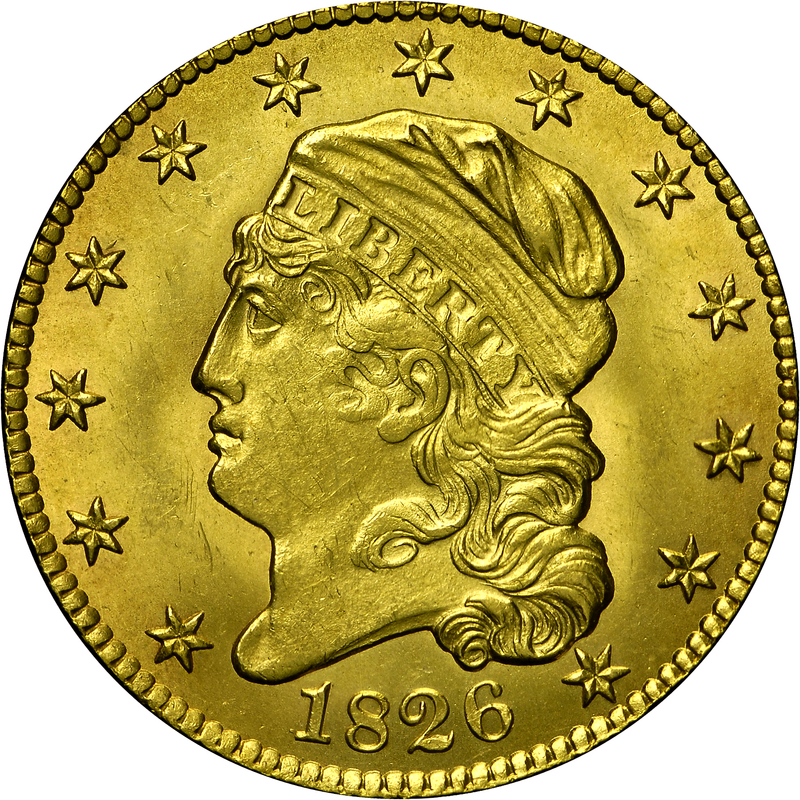 Reverse: That of 1820D. Large letters. 'Punched' T (letter T has a triangular punch in bottom of upright). S over E and space right. T over R and space right. S over US. Base of E high to that of adjacent T. Perfect M. Fairly close 5D, top of 5 markedly higher than that of D. Large period. Further lapped, most of shield's interior polished."